Providing piano tuition at your home for no extra charge! The first and most important step in learning piano is finding the right piano teacher. Maestro’s Piano Lessons is focused on offering high standard yet affordable Piano Lessons at your location. All you need is to be based in Birmingham, have your own piano and the determination to start your piano lessons in Birmingham! Additionally piano lessons at our music studio will be available upon request. It is often challenging to find a piano teacher in Birmingham, who is highly experienced and well qualified. Music like any other form of art is formed of the triangle of knowledge, passion and experience. Being well qualified alone is not enough to be a highly experienced pianist, and to deliver the best quality of piano lessons. 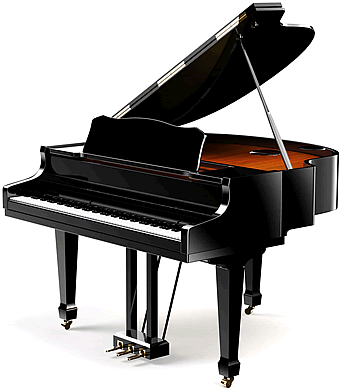 Therefore you need a piano teacher who has made it as a musician and is also well qualified. Our piano teacher Babak Kazemi studied at Royal Birmingham Conservatoire and currently works as a professional conductor and pianist. You can read more about him here. Alongside performance, he has been teaching piano in Birmingham to adults and children and from beginners to advanced levels, for more than a decade, and have helped many students of all ages to achieve their goals in music. At Maestro’s Piano Lessons the aim is to teach high quality piano lessons in Birmingham, provide home tuition at affordable rates and make learning piano more accessible to all ages and levels. Providing piano lessons for adults of any level. Teaching young children piano from an early age, we provide the expertise needed. Whatever your age, it’s never late to start! We provide well-paced and step by step piano lessons for beginners in Birmingham. Helping intermediate and advanced students refine their skills. Essential for all musicians, theory of music is one of the most often overlooked subjects in music education regardless of the instruments. With us your success in the exams is guaranteed. No two persons are alike when it comes to learning piano. We find that good piano teachers need to understand their student’s abilities, and have a vision on how to improve your piano playing skills. Each piano lesson must be carefully planned to fit your musical requirements and help you get better every week. The teaching model at Maestro’s Piano Lessons is based around private piano tuition in Birmingham, which over the years has proven to be very successful in teaching piano. The reason why private tuition in learning piano works the best, is due to the nature of the instrument. Piano is a solo instrument, therefore it cannot be taught in group sessions without significant compromises in the learning quality. Being fully committed to delivering the highest standards of piano lessons in Birmingham, I only offer tailored one-to-one lessons. If you are a beginner or intermediate piano student, it is very important to choose the right piano teacher in Birmingham. Learning piano is a journey and it’s often too easy to go towards wrong directions, which prevent you from reaching your objectives. Therefore it is of the utmost importance to find the right piano teacher who can help you through this journey. There is no doubt that changing piano teachers regularly, can be detrimental to your progress as each piano teacher in Birmingham may have his/her own methods. Having to change directions too often will cause confusion and frustration. On the other hand continuing with a piano teacher who is not delivering the highest standards of music education, may set you miles away from the right musical pathway. If you think your Birmingham piano teacher is not delivering high quality of piano lessons, or you haven’t met with your expectations, then we would recommend changing your piano teacher immediately and start looking for an experienced teacher who has professional experience in performance. One of the most important factors in achieving continual progress in music, is consistency in your piano lessons. At Maestro’s Piano Lessons, we have a very punctual piano teaching schedule. As a result we can offer a high level of consistency in terms of attending all Birmingham piano lessons as planned. Music can be so rewarding when it is being taught by the right teacher. In Birmingham, piano lessons are not in short supply however good teachers are! Our 7-year daughter has enjoyed each and every lesson with Mr Kazemi and has made good progress. Mr Kazemi is flexible and this makes such a difference when trying to fit in lessons during her tight school schedules. He ensures that the lesson times are utilised well. We would highly recommend him as a teacher to anyone looking for one..
Babak is very professional,always prepared & his lovely positive nature motivated me. He is very patient & he put me at ease. I've started my piano lessons four months ago and now I'm preparing for Grade 2 piano exam. I'm confident that I made a right choice and I'm very pleased. 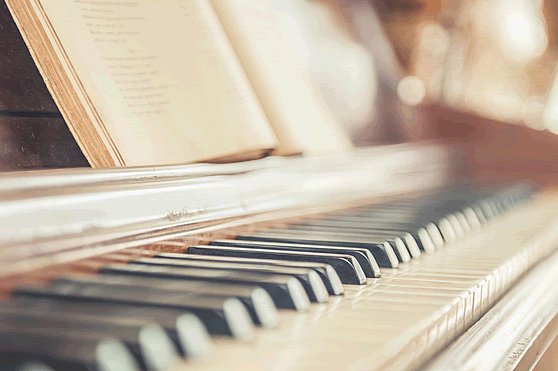 The right piano for you can help you make the best of your lessons. As a result it can be very challenging to invest on the right instrument. However, with the help of a professional, you can make sure that the piano you choose is the right one for you. At Maestro’s Piano Lessons, we can offer free of charge advice on which piano can best serve your purpose when you book lessons with us. If you are a beginner and want to start piano lessons, then we would recommend purchasing a cheaper instrument at the first stage, and upgrade it later on. You may choose to use a keyboard to begin with, but your instrument should have certain standards. Your instrument should have hammer action keys and be 88 keys.